The Atlanta Braves have the attention of many in Major League Baseball. The Braves made a quick one and out stop at Wrigley Field on Monday beating the Cubs 6-5. The game had originally been scheduled for April 15 but was rained out. Since that rainout, Atlanta has added more youth and experience. The experience came in the form of Jose Bautista their third baseman who is 37 and who hit a three-run home run off Jose Quintana the starter for the Cubs on Monday during the fifth that gave the Braves a lead they would not give up. Bautista now has 333 home runs for his career and it was his second since May 4 when he joined the team. Wrigley Field became the 30th baseball park in the big leagues in which Bautista has hit at least one home run. The teams were able to complete the game prior to torrential rain falling and both teams left Chicago headed to Atlanta. The two start a three-game series in Atlanta on Tuesday. 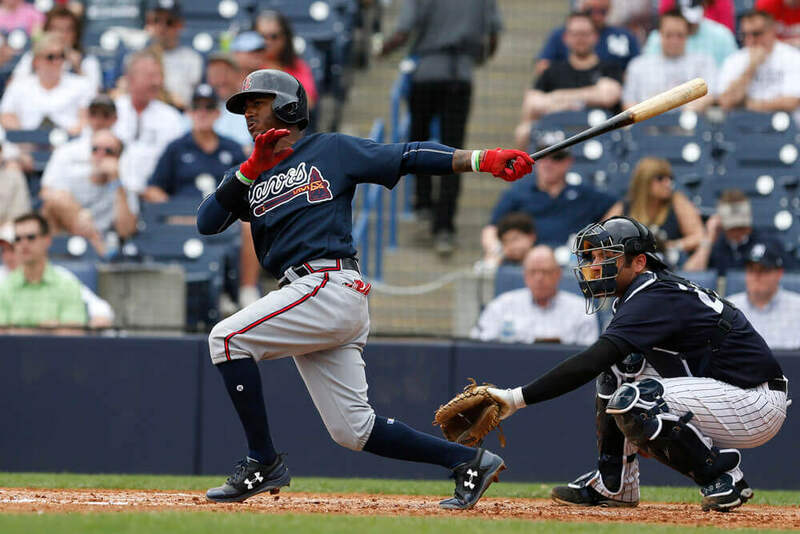 One member of the youth movement giving the Braves both power at the plate and solid fielding at second base is Ozzie Albies. He sent a home run into the stands at Wrigley on Monday to start the game. The home run tied Albies, who is just 21, with the lead in baseball for home runs with 13 and he reached that mark in the 40th game of the season for the Braves tie for the fewest games a second baseman needed to reach 13 home runs to start a season. Albies was the youngest player in baseball back in April when he homered the first time of Quintana, but since then two teammates have joined the team Ronald Acuna Jr. and Mike Soroka and both are just 20 years old. With that youth added to the team, Atlanta is 17-9 since its series in April with the Cubs. Luiz Gohara has been added to the mix. The 21-year old pitcher is the fifth youngest big league player, and the Braves may be ready to bring another youngster aboard. Austin Riley, a third baseman, had three home runs and eight RBIs on Sunday in Triple-A. However, Riley will have to take Bautista’s spot if he wants to play in the big leagues. Monday’s win ended a seven-game road trip for Atlanta with six victories and they face a tough challenge at home with three more against the Cubs starting Tuesday.